More than 1,000 years old, the Church of St Peter is the oldest church in Lindau and one of the oldest in the whole Lake Constance region. This impressive building is also home to a major art treasure. Also known as the Fischerkirche, or Fisherman’s Church, it was formerly dedicated to the apostle Simon Peter, the patron saint of fishermen. At that time the Schrannenplatz was where most of the town’s fishermen lived. 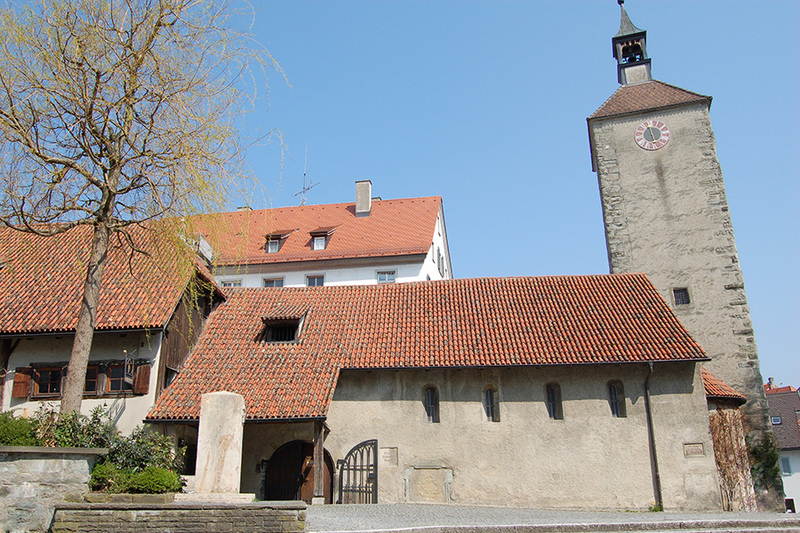 Until 1180 it was also the parish church of Lindau. The east side of the existing building dates from the middle of the 12th century, while the west side of the nave and the entrance were built in 1470. The massive, windowless church tower is thought to be older than the main church, as it cuts across the chancel and walls of the nave. Apparently it initially had a defensive function, which is hardly surprising in light of its proximity to the town’s first harbour. It was deconsecrated around the 17th century and it was not until 1921-22 that it was renovated to remove the various unsuitable extensions and installations that had been added over the years. The church is home to a major treasure: the Lindau Passion frescos thought to be the work of Hans Holbein the Elder. The early Gothic drawings in red ochre depict scenes from the Passion of Christ and the lives of St Peter and St Christopher. 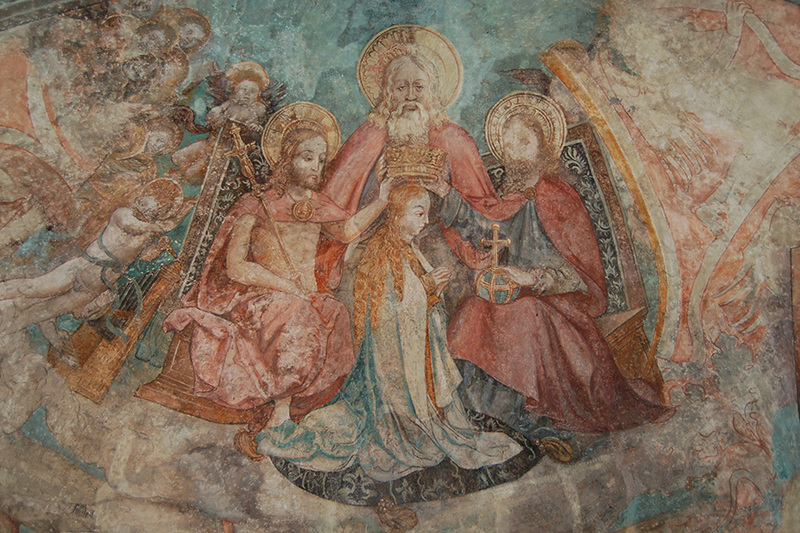 The chancel houses another fresco, the “Crowning of the Virgin”, by Lindau painter Mathis Miller.